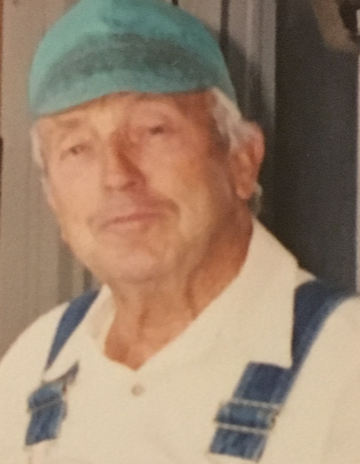 Dean Alton Harwood (87) Beloved husband, father, grandfather and great grandfather, passed away Nov 30 2018. After years of successfully dealing with renal failure, he died peacefully of natural causes surrounded by family. Born July 18, 1931 in Salt Lake City, Utah to Alton William Harwood and Evelyn Katherine (Gore) Harwood. Despite being an intensely private person, who avoided social situations, he had a special ability to make friends wherever he went. His strong personality, wit and phenomenal wisdom were a few of the endearing attributes that drew people to love and enjoy his company. His life from cradle to grave has been a collection of amazing and wonderful tales and experiences. Among his last thoughts were his expressions of how blessed he was and what a great life he has had. He was extremely grateful that as a young family his job as a truck driver for Hatchco brought him to the Uintah Basin. He humbly views this move to the basin as one of the divinely inspired events that shaped his and his family's life for the better. Dean was a hard worker, it would probably be more appropriate to say that he loved to work. His occupation as a welder/fabricator allowed him to use his extraordinary creative ability. His creativity and insights were truly a blessing to his family and all who knew him. Being a lifelong health nut, obviously contributed to his good health and vitality through his final years. Much of his younger days were spent building hotrods, after a long hiatus to raise a family, he proudly finished his beautiful Model T roadster. He loved motorhoming with Bonnie and looked forward to their trips down south, where obviously he made more friends. Many of his closest friends came through association with his membership in The church of Jesus Christ of latter day saints. He married the love of his life, Bonnie Joyce Christensen on May 9th 1951 And has missed her deeply since her passing in 2005. Dean Harwood has left a wonderful, unique and unforgettable legacy for his family. His life will be treasured and celebrated for generations, He will be greatly missed. Dean is survived by Daughters: Denese (Wayne) Henline and Keely (Selwyn) Simper. Sons: Steven Dean (Aleisha) Harwood and Garrett Gene (Mindy) Harwood. 12 grandchildren and 8 great-grandchildren. Sisters: Shirley (Bud) Barnson, Karen Ladean Harwood. Brother: Don Wayne Harwood. He is preceded in death by his wife, Bonnie Joyce (Christensen) Harwood and Grandson, Dean James Henline. Graveside service will be held Wednesday, December 5, 2018 at 11:00 AM at the Verna Memorial Park. Under the care and direction of the Blackburn & Sons Vernal Mortuary & Cremation Care.